Will this doctor's passion trump vengeance? 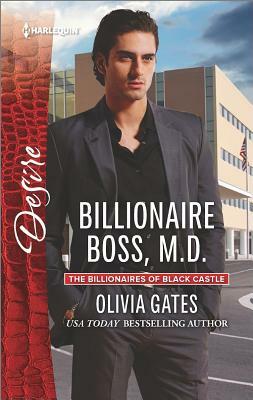 Find out in this billionaire boss novel from USA TODAY bestselling author Olivia Gates! Rumors swirl around the world-famous surgeon who just added Dr. Liliana Accardi's research lab to his vast empire. And from their first mesmerizing encounter, Antonio Balducci breaches all her defenses as he lures Lili into a passionate affair fueled by his own dark motives. The gorgeous scientist is Antonio's entry into the family he's sworn to destroy. But his manipulations ensnare him. With his soul on fire for the woman he desires above all else, will Antonio's love prove stronger than his hunger for retribution? Antonio Balducci, famed for his incredible skills of surgery, is ready to take his vengeance on the family that abandoned him and left him to fall into the evil hands of The Organization. He's found the perfect woman to help him infiltrate the family so he can destroy them. Only, after meeting her, his plans take a turn. Dr. Liliana Accardi is furious that her lab has been bought out by some rich, uncaring man. And she tells him so. He's handsome and has won every one of her colleagues over...but that doesn't stop her from speaking her mind. Who knew a billionaire like him would appreciate a woman who could speak her mind? Still, she can't believe a man like him would see anything in a woman like her. I love this series and really loved Antonio. The author really brings these characters to life and puts them through some tough situations before they can find peace with the person they fell for. And holding back the truth always seems to come back and bite them in the rear.